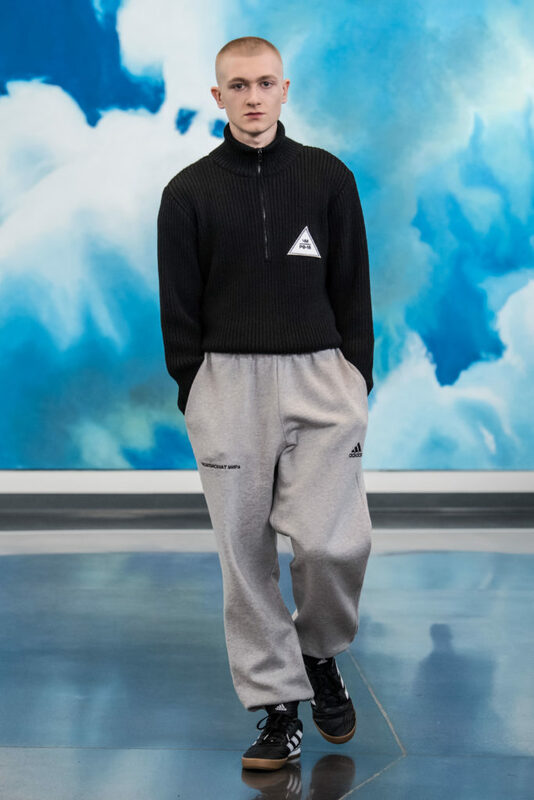 Gosha Rubchinskiy’s distinctive recognizable style invited us to end his exploration of the post-Soviet era for his a/w 2018 collection. 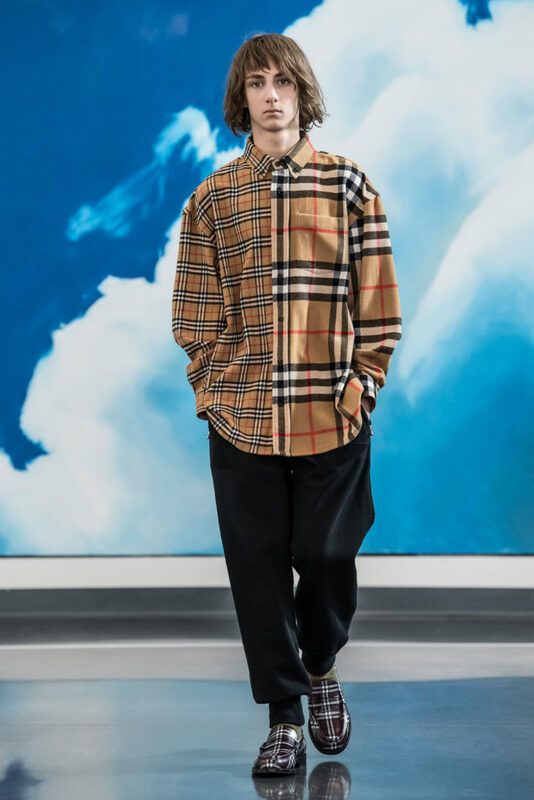 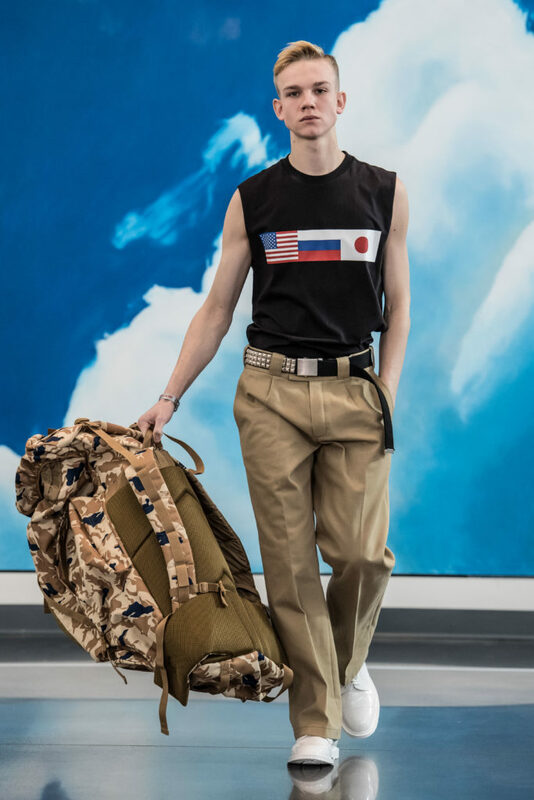 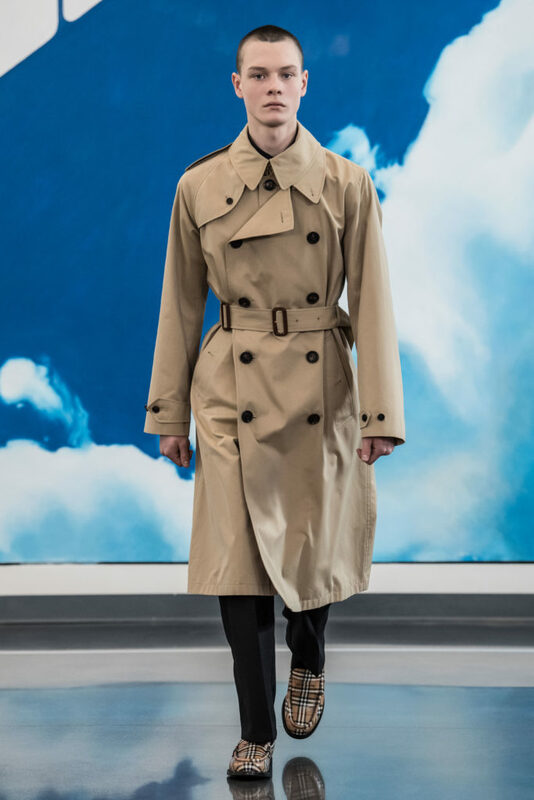 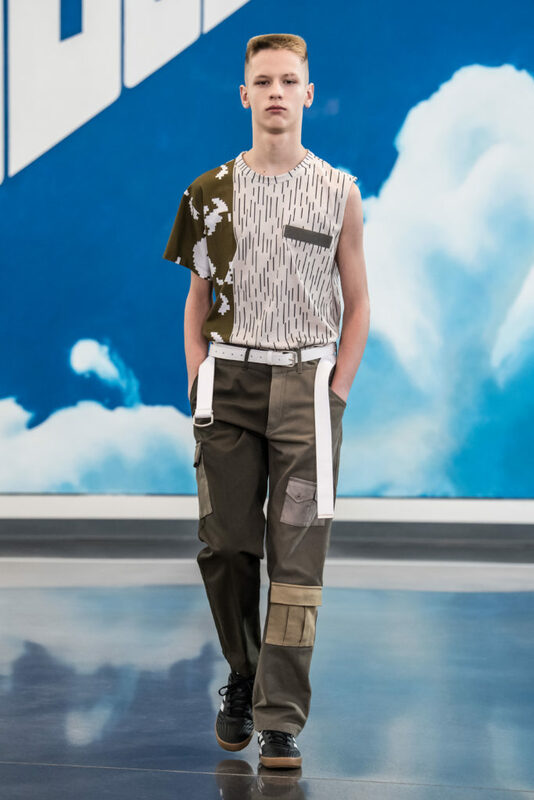 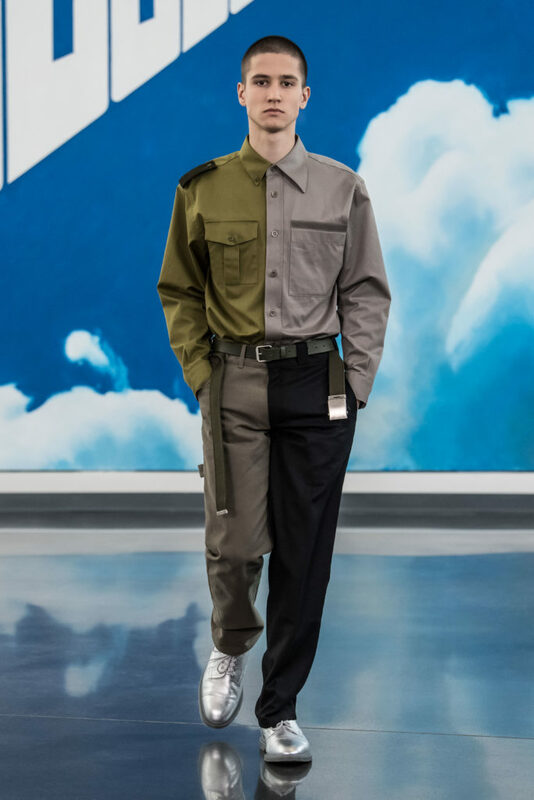 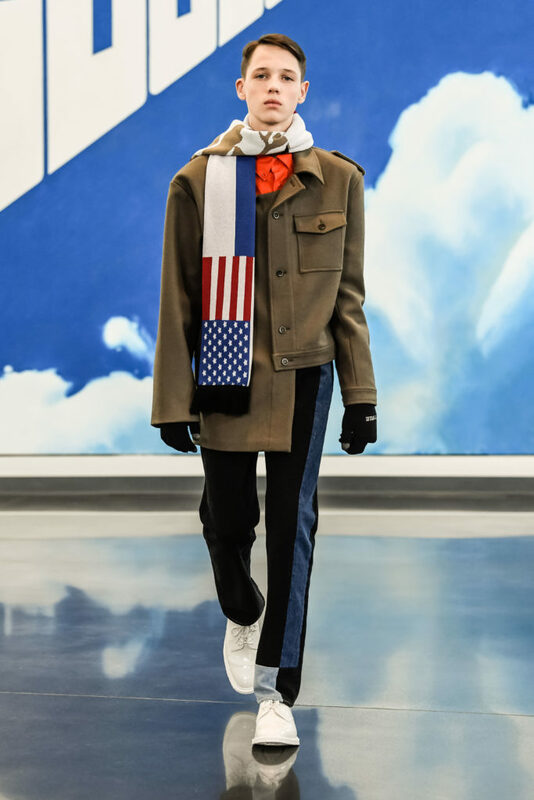 It was from a building reminiscent of the nineties in Russia, at the Yeltsin Center Museum, it was explained, that the designer chose “to bid farewell to themes of 90’s and nostalgia” that have been the blueprint of his last collections. 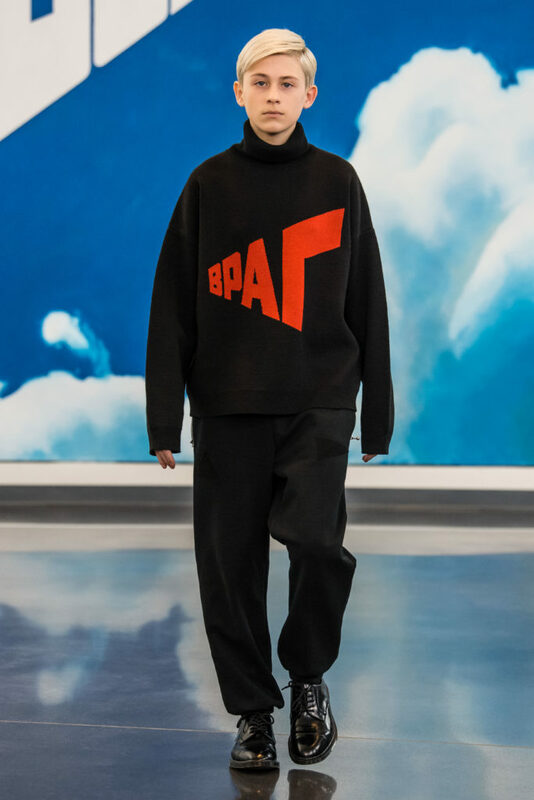 The collection was inspired by the never-seen-before series by Russian artist, Erik Bulatov, who explores the feeling of uncertainty and the good of it: the freedom it promises indeed. 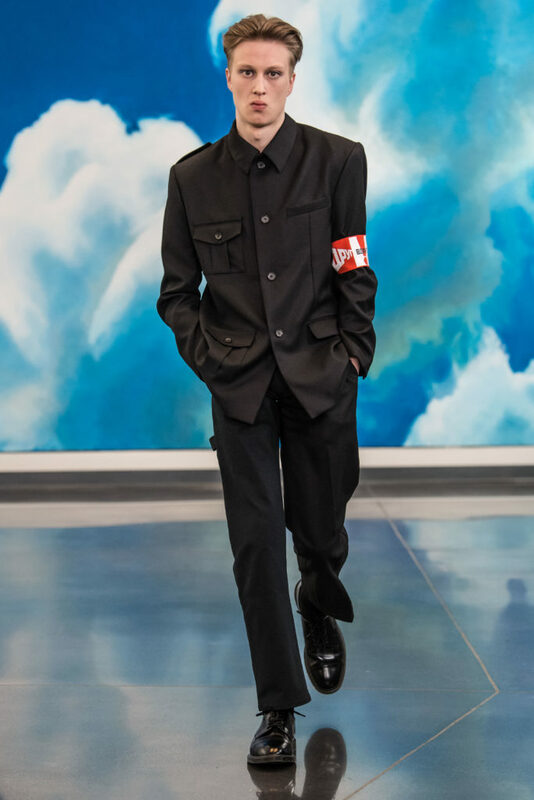 A monumental art piece by artist Erik Bulatov reads “FREEDOM” in cyrilic. 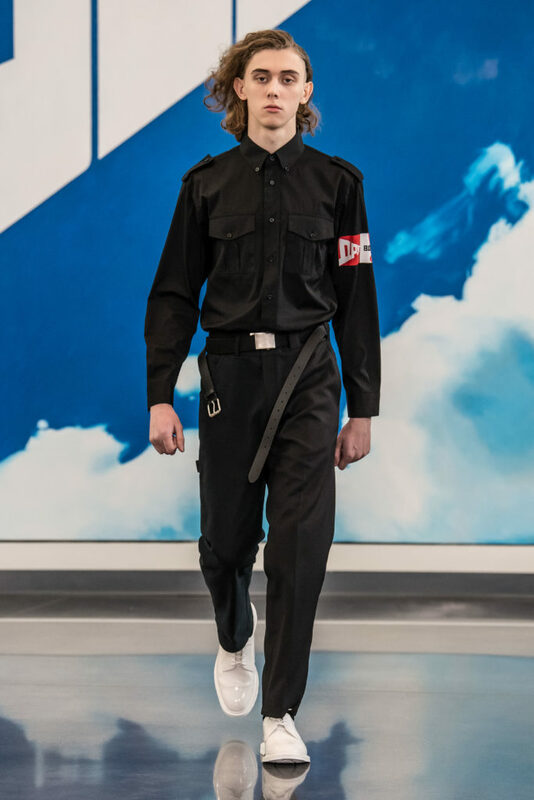 A new contemporary uniform was created to celebrate the new era and the readiness to fight for one’s freedom in the globalized world. 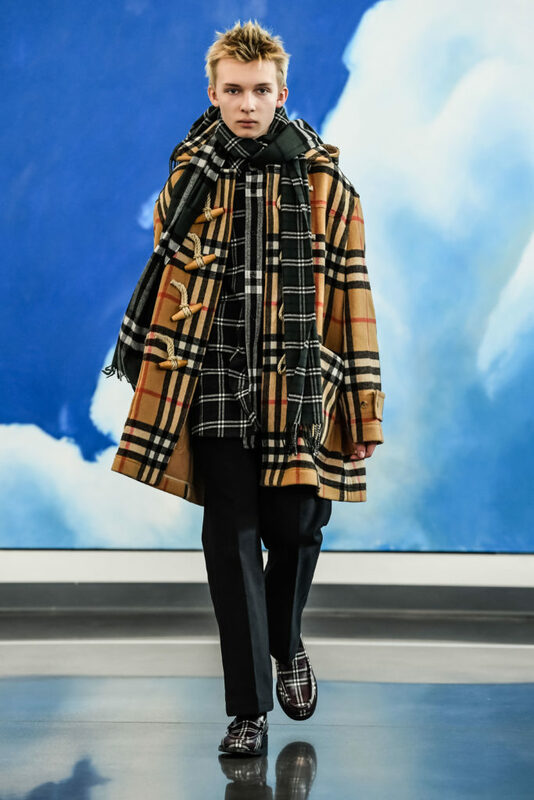 Some of today’s emblematic references like Adidas Football or Burberry outerwear met uniform references and military twists. 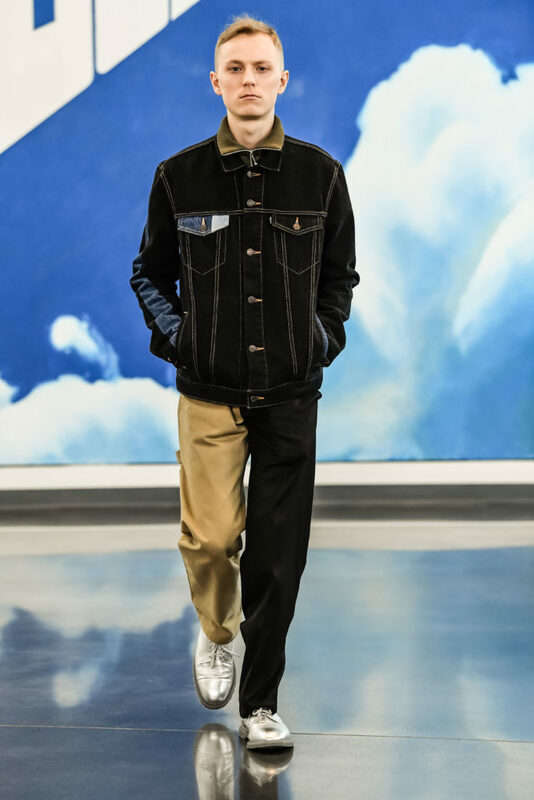 Gosha worked with Levi’s once again to create new hybrid designs using their classic pants and jackets and he teamed up with Dr. Martens for the first time. 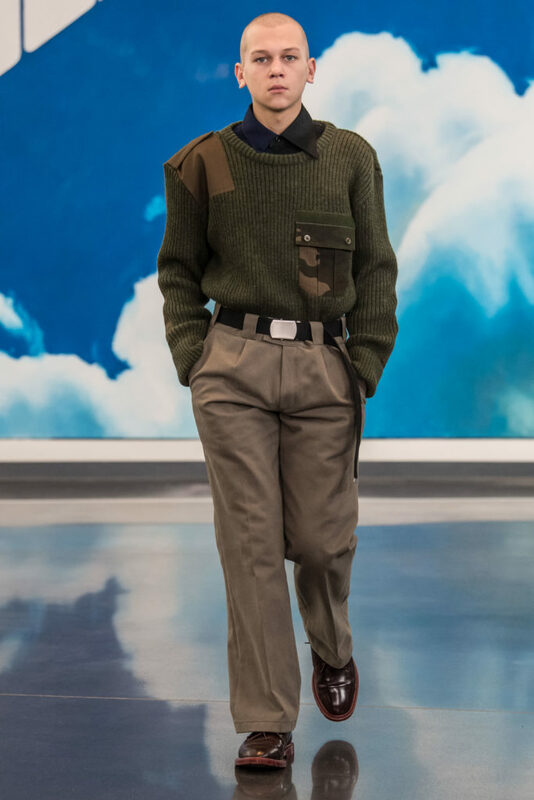 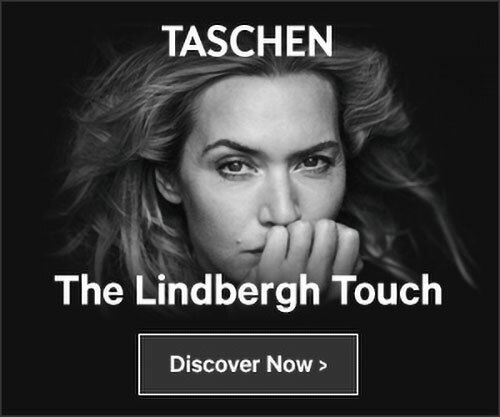 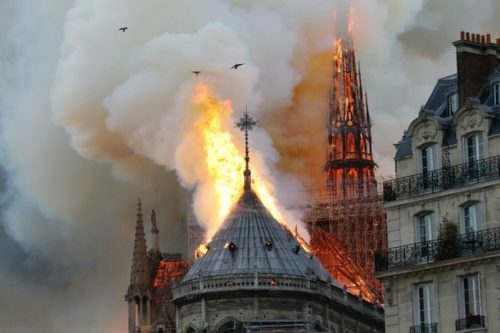 The army of youth is definitely ready to fight for their freedom in our hyper new modern order praising the aesthetics of capitalism at large. 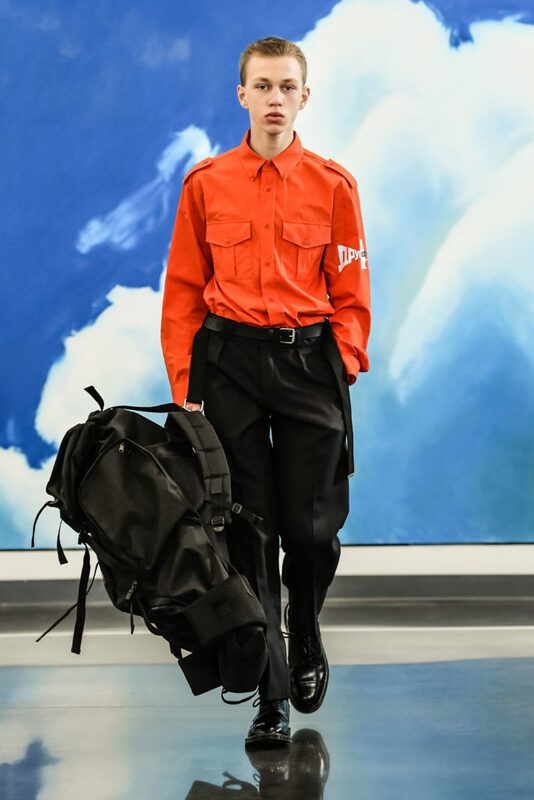 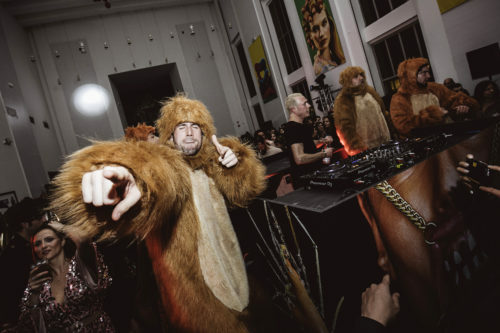 Discover the photos of the show below.